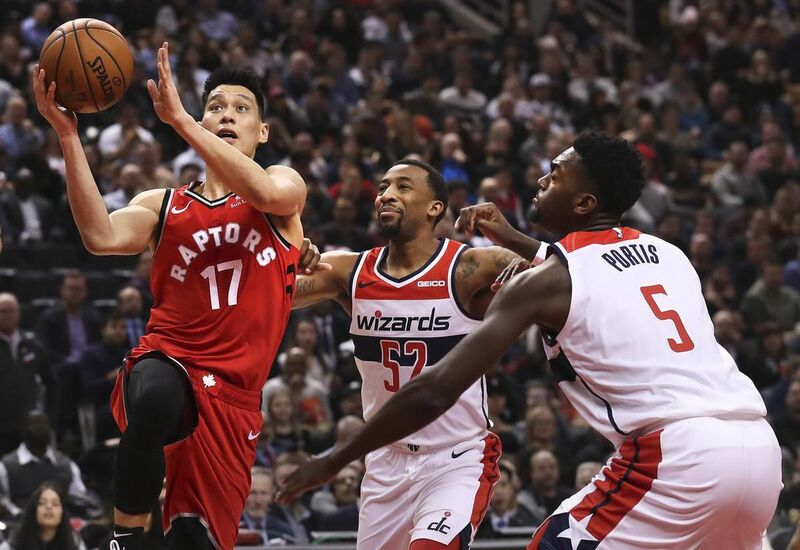 The Toronto Raptors defeated the Washington Wizards on Wednesday night 129-120. Siakam recorded a double-double along with a career-high in points with 44 and 10 rebounds. OG Anunoby scored a career-high 22 points off the bench, and he went 4-8 from three-point range. Kyle Lowry also had a double-double as he scored 14 points and dished 13 assists. Serge Ibaka scored 10 points and grabbed 13 boards. Fred VanVleet will miss five weeks of action as he gets surgery to repair ligament damage on his left thumb. Norman Powell started in his place and had 11 points, four rebounds and four assists. Bradley Beal led Washington scorers with 28 points and also had 11 assists. Jeff Green scored 23 points and had seven rebounds and seven assists. Recent signing Jabari Parker scored 22 points and nine rebounds in 34 minutes. Trevor Ariza had 19 points, eight rebounds, and six assists. Jeremy Lin scored eight points in his Raptors debut, and also had five rebounds and assists. He received a standing ovation from the crowd when he entered the game. Kyle Lowry played provider all night, especially to Lin. Siakam had a few blocks to go along with a couple dunks, and dedicated his performance to his late father. The Raptors will continue their home stand next Friday and look to extend their win streak to seven as they host former Raptor DeMar DeRozan and the San Antonio Spurs at Scotiabank Arena. Featured image from Richard Lautens/Toronto Star.